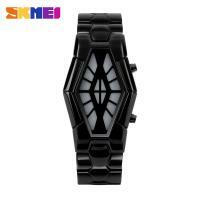 Home Companies Guangzhou Skmei Watch Co., Ltd.
1. Display:Date,Hour, Minutes and Seconds. 1. We are a professional OEM/ODM manufacturer, many customers make new style watches in our factory. 2. 15 years expert experience in designing&producing. 4. All production work, case/assembling & QC in our factory, high standard of production control is being maintained. I am here waitin for you.